Residence Inn Roseville surpasses other hotels in Roseville, CA with thoughtful amenities and services that will make you feel at home. Our Roseville hotel is conveniently located near area freeways just minutes from companies such as Tesla, Northup Grumman, Hewlett-Packard, Union Pacific, and the Sutter and Kaiser Hospital campuses. Leisure guests enjoy our close proximity to CHG Healthcare, Westfield Galleria Mall and the Fountains Shopping and Lifestyle Center. Historic Old Town Sacramento is also close by. Our pet-friendly extended-stay hotel in Roseville, CA offers free daily breakfast and WiFi, indoor pool, spa, and a fitness center. Check out our multi-purpose SportCourt , and be sure to join us every Monday through Wednesday for fun social events at The Mix . 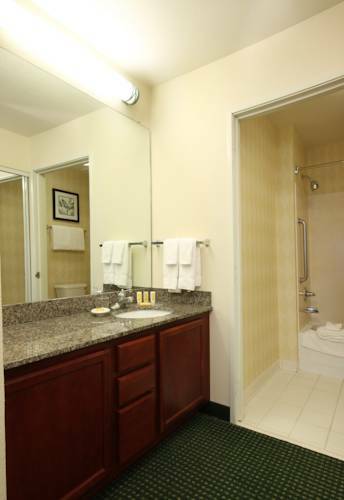 We feature studio, one and two bedroom suites with fully-equipped kitchens. Guests appreciate on-site laundry for extended stays. We look forward to welcoming you during your stay, so book a room today!